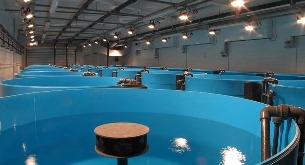 The Centre for Sustainable Aquatic Research (CSAR) is a centre of excellence founded in 2003 with support from the European Union, Welsh Government, and Swansea University. Equipped with modern, fully programmable recirculating aquaculture systems, CSAR is designed for applied research on a diverse range of aquatic organisms, from temperate to tropical and marine to freshwater environments. Please note that this entry on the database only represents CSAR so is not representative of the whole of the University of Swansea which also has skills in remote sensor tag design and applications, physical geography and engineering, all of which overalp into marine research.